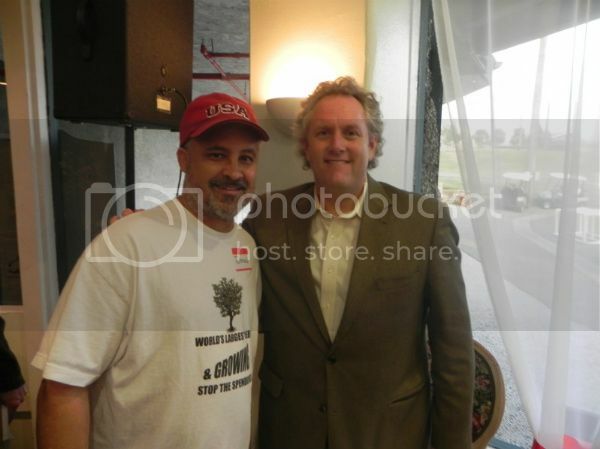 Last Thursday I took part in Orange County poli-history as chief lamestream press agitator and new media star Andrew Breitbart showed up at the Orange County Golf Course Club to promote his latest book, "Righteous Indignation: Excuse Me While I Save the World! ", and fill us in on his Weinergate ventures. When I approached Andrew I told him that his work was a major inspiration for me and that I look up to him as the ultimate trailblazer in the new media format. I'm sure I came across as a bit of a fanboy but I don't think he minded at all. The guy's intense. What you see on t.v. and viral Youtube videos is what you get in person with Breitbart. He has a look in his eye, an intense laser-like focus -- you can literally see it in his eyes. I've known people as intense as Breitbart in business, he reminds me of several individuals that I got to know that through sheer bravado, dedication, guts, stick-to-it-ness and a little insanity, started from humble roots to build multi-million dollar empires. I'm sure Breitbart is a wealthy man because of his passion for filling a media niche. It just happens to be that his niche is at least half of the country! 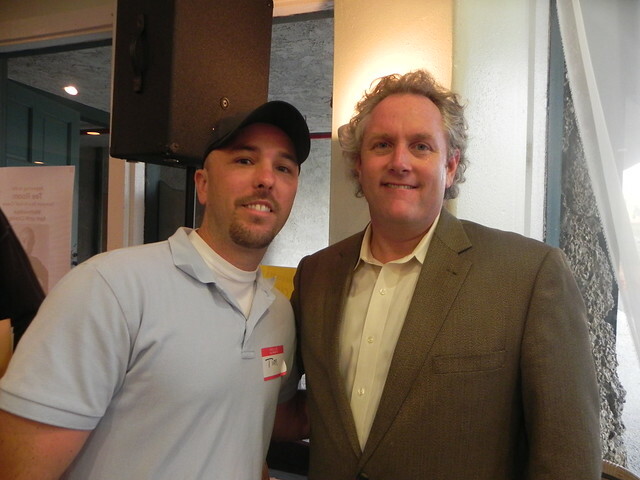 He's a super-talented speaker, lots of comedy, great storyteller, and above all I witnessed Breitbart's fierce advocacy fo the voiceless masses of middle America, those that feel that the Leftist-Media-Industrial-Complex is just a deceitful, evil, all-powerful, information-controlling extension of our coercive, destructive Leviathan government. Speaking to us is what Breitbart does and does better than anyone else. Plus, another post with your link going live in the A.M.